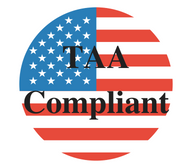 TAA Compliant Cooling Products for your data center meet the requirements of the Trade Agreements Act and keep your equipment cool in mission critical applications. Our cooling product range includes traditional room cooling, high density rack cooling, container modules, and air handling units with adiabatic cooling. STULZ: STULZ mission critical cooling equipment is manufactured in the USA. With a vast capacity range, extensive options, and modularity, we offer a broad product range that makes optimal air conditioning a reality for any mission critical project including data centers and any other applications that require reliable precision cooling.